Just a reminder not to miss IOK’s in house celebration of Jackie and Bruce’s recent promotions. Class will be closed at 8:00 PM sharp tomorrow evening, when we’ll gather downstairs at Sully’s for some R&R time. This fall so far has been a comparatively busy one for advanced ranks. The visit by Takisan and Higasan hosted by Mark and Connie Flynn was brief but inspirational. A small handful of very senior instructor students received the ceremonial promotions of 7th Dan. And, the group was led by our own Chief Jackie ‘Mr. Patience’ Dowd receiving his 8th as Hanshidan. Ranks of this level are rarely something we get to see in the States. It is if nothing else a testament to the staying power of quality traditional dojo’s and the instructors who lead them. It has been reflected that no one should feel ready for a Dan test who has not experienced a few of Jackie’s classes. We joke with him about his delivery, but he has the memory of an elephant and a heart of the same size. You may not know it when he’s pushing your limits mentally and physically, but Jackie wants to help people become really good. If you listen you will learn an awful lot. Congratulations to Jacky Dowd (Hanshi 8 Dan), Bruce White (Kyoshi 7 Dan) and Robert Mario (Kyoshi 7 Dan) on their recent promotions. 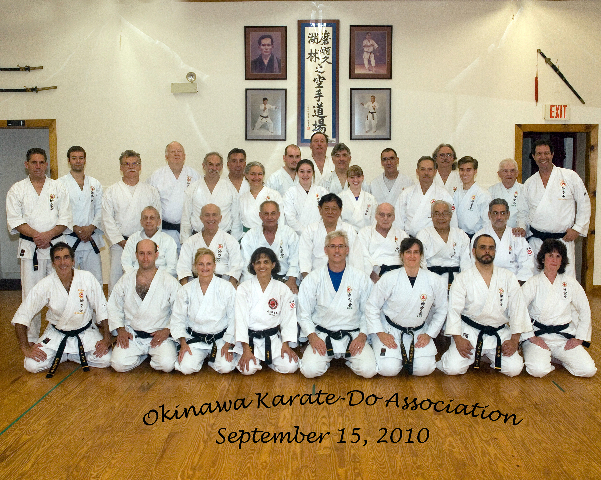 Many thanks to our friends at the Pittsfield dojo and Senseis Toshio Higa and Shigeru Takamiyagi. I first heard about this via Sensei Russ. Here’s a quote from the Pittsfield dojo’s website. 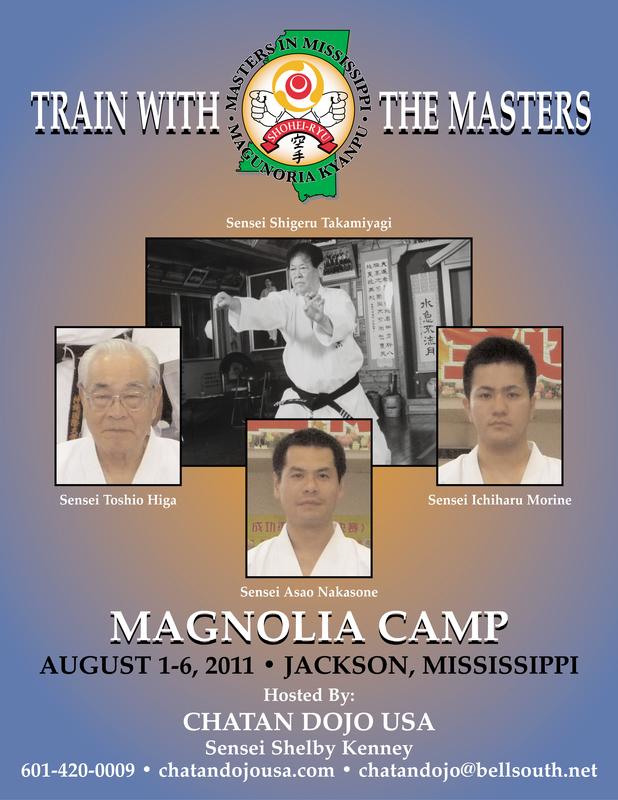 Its official, we (Okinawan Karate School) will be hosting a visit from Senseis Toshio Higa (9th Dan) and Shigeru Takamiyagi (10th Dan) in September. They will providing seminars on Tuesday the 21st and Wednesday the 22nd from 6:30 to 8:30. More information to follow soon! See ancientfootprints.com for the latest.